But we should be concerned about what these smart speakers are actually listening to. It's more than just our voice commands to play a piece or music or turn down the lights. We need to think carefully about where this sort of technology is heading. Very soon it won't just be our smart speakers listening, but all manner of other devices too. They're already in our homes and workplaces, hotels, hospitals and universities. We are also getting increasingly comfortable talking to our technology, according to the consumer adoption report: "Over 43% of Australian smart speaker owners say that since acquiring the devices they are using voice assistants more frequently on smartphones." But the recent consumer report also says Australians worry about such speakers. 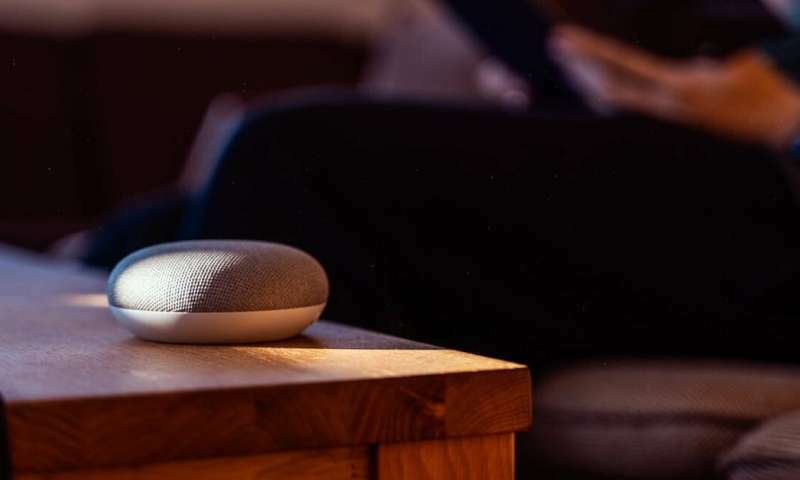 Nearly two-thirds of people surveyed say they had some level of concern over the privacy risks posed by smart speaker technology – 17.7% said they were "very concerned". The report doesn't specify what those concerns are. Perhaps we are concerned about recordings of our conversations being emailed to colleagues without our knowledge or consent, or admitted as evidence in court. But I believe we are much less concerned than we should be about where this industry is headed next. Smart speakers aren't just listening to what we say. Increasingly, they are also listening to how and where we say it. They're listening to our vocal biometrics, to how we stutter and pause, to our tone of voice, accent and mood, to our state of wellness, to the size and shape of the room we're sitting in, and to the ambient noises, music and TV shows on in the background. All for the purpose of extracting more and more data about who we are and what kinds of things we do. Audio Analytic, one of the more prominent companies in this area, states on its website: "We are on a mission to give all machines a sense of hearing […]"
This is much less far-fetched than it sounds. Audio Analytic's flagship software, ai3TM, claims to be able to recognise "a large number of audio events and acoustic scenes", with a view to enabling devices to understand and respond to sonic environments in their own right. In a similar but even more troubling vein, AC Global Risk, reportedly claims to be able to determine potential risk level of someone with greater than 97% accuracy simply by analysing the "characteristics" of few minutes of their speaking voice. Machine listening isn't just coming, it's already here and it demands our attention.